I’m in Hungary at the moment and as the weather is raining with 25mph winds I have stayed in to go through the images from the last few days of photography. On the first day I used the car as a hide and drove around the country lanes to see what i could find. Different birds react in varying ways when approached slowly by car but Corn Bunting are quite easy to get close to. 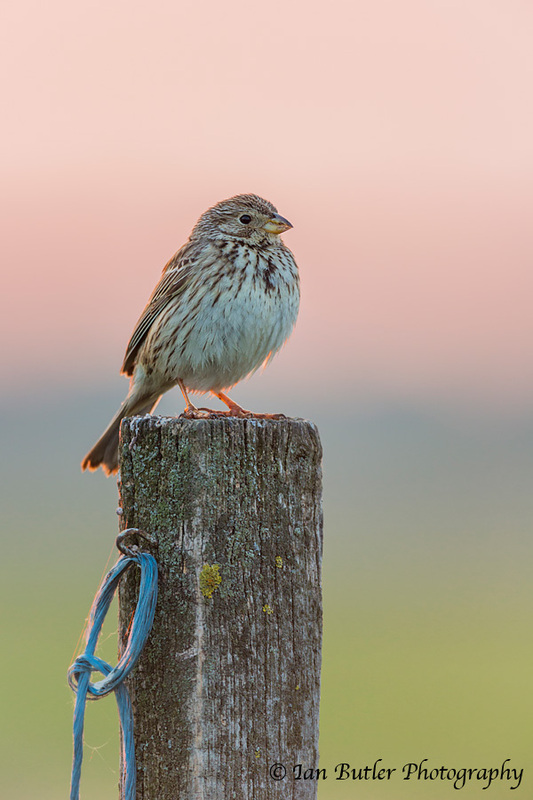 This Corn Bunting was the first bird of the day and just minutes after the sun had appeared along the horizon. i like how the pink hues are still in the sky and the low sun is rim lighting the bird. Worthwhile getting up early for. Canon 5D Mk3 with Canon 500mm f/4 L IS lens with Canon 1.4x III converter. Car as hide.